This week, for the first time, the three pillars of a GMO-free Europe – regional governments, businesses and NGOs with scientists – will come together in Berlin for a joint conference “GMO-Free Europe – Future Opportunities and Challenges”. From May 6 to 8 2015, participants from political circles, economists, scientists and civil society from all over Europe, as well as guests from America, Asia and Africa will discuss the chances of a future agriculture without genetically modified plants and animals. 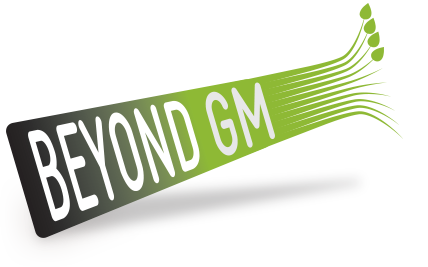 Beyond GM will be there presenting a short talk that introduces our work to our colleagues from around the world and Director Pat Thomas will be one of the panellists for the session TTIP and what is at stake for European GMO rules? organised by Friends of the Earth Europe. The so called “Opt out” revision of the present EU GMO legislation allowing for national bans on GMO cultivation and its national implementation must be followed closely, just as changes planned on the GMO authorization procedure. With these challenges also come a number of possibilities for progress. All these issues will be presented and discussed at what it tipped to be one of the most lively and important conferences on our food future in some time. More information and the programme can be found on the event’s website.